Additionally, they want to cater to the entertainment and social needs of their users, by providing an entertainment platform where users can also get their customized entertainment and dating products. The genome sequencing will be done in conjunction with the world’s strongest gene sequencing company, using 10 of the most powerful sequencers. The sequence analysis will be done using three different software to conduct a comprehensive analysis and evaluation of the whole human genome within a week. In terms of encryption, their whitepaper mentions elliptic curve cryptography, but does not describe where this will be used. 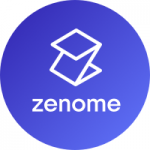 Genomes is a blockchain application designed to privately, securely store whole genome sequence data for individuals. This way, they allow questions to be asked of the genetic code without exposing the code to others. Genomes.io uses Ethereum and Rockchain to allow systems to compute a function on private data, without exposing anything about their data besides the result. Genomes not only secures privacy for an individual’s genomic data, it also enables 3rd party access when approved by the individual in exchange for tokens known as GENE. These GENE tokens can be sold on the free market, back to the genomes organization, or to other users through the app. 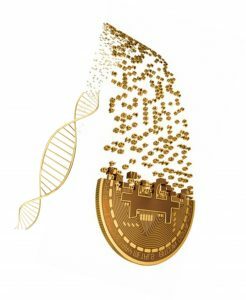 These tokens (GENE) can also be used by pharmaceutical companies to reward users of the app, who will expose certain computational results to 3rd parties. An app for users to intelligently query their own genome, in the way that 23andMe allows, is being developed. This will process the data dynamically upon loading, based on queries applied through the Rockchain framework. An ambitious company which aims to create the Alibaba for life data using the next generation artificial intelligence and technologies. While focused more on health data rather than genome sequences on their platform, the Alibaba comparison puts into question the users’ value on their data, since it is a company known to offer cheap bulk services to either consumers or businesses. 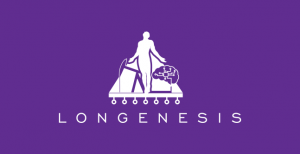 As the end result, Longenesis aims to be a fully distributed system. The users will store their data on their own devices, and the platform should operate similar to torrents, but more advanced, secure and private. Purchasing users’ data will be done by sending a request via smart contracts and the user will be able to sell it directly from their device through the Longenesis marketplace. With new market opportunities arising in blockchain-based genomics, arguments are made that they might replace birth certificates. 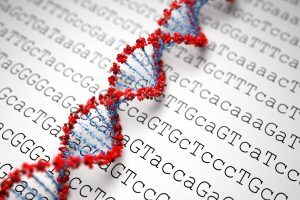 Since genomic data constitutes sensitive data not only to the individual that chooses to share it, but also to its relatives and descendants, can monetizing the genomic data increase sharing without informed consent? Overall, I believe there are several concerns with putting genomic data on the blockchain. Privacy and security. There are mentions of using Intel SGX or encryption for the genomic data before being posted on the blockchain. However, Intel SGX attacks on genomic data have been shown to exist. Moreover, there is also a risk that law enforcement could pressure companies to share DNA data. Some companies said that data was stored in such a way that they could not identify individuals, whereas others mentioned could identify individuals but said that they would not grant access to outside agencies. Considering that there have been several recent efforts by researchers that have demonstrated that it is possible to re-identify research participants in large genetic studies, or to recover surnames of individuals from a genomic data repository, such risks need to be addressed. Quality. This is an issue on both sides of the equation. There are a number of direct-to-consumer DNA services with questionable scientific basis, like wine recommendations based on users’ genome sequence. It might be difficult for users to tell whether services are backed by sound science. Conversely, these platforms reward users for data that is useful for genetic research. This could potentially incentivize the provision of misleading or inaccurate health data. For research studies, the value of a genome is going to be strongly influenced by the amount and quality of medically relevant data attached to it, for example, a family history of heart disease. Ease of use and informed consent. Buying and selling cryptocurrency is currently technically challenging. At the same time, consenting to genomic data access, and understanding the implications of an access request can be complex. For these companies to succeed in giving people control of their DNA privacy, they will need to be very clear about what is actually being agreed to in a data request. Pricing. Cryptocurrencies are notoriously volatile and their legal status has not yet been clearly established. More generally, there is a risk that the very creation of a DNA marketplace could drive up the cost of access to genomic data. Centralization. If the majority of the world’s genomic data ends up on a single platform, then society would be in a position of trust that the company will continue to act ethically. Overall, data sharing in genomics is paving the way towards personalized medicine and development of treatments for rare diseases. However, due to the sensitivity of the data, it needs to be done in a responsible and effective manner. There are currently a few initiatives to support this currently in place. For example, PGPUK engages in promoting the creation new Personal Genome Project groups, and public resources everyone can access. At the same time they aim to help potential participants understand the risks and protocols of participation. Their enrollment process incorporates a 6-module study guide with an entrance exam to be passed, and an informed consent for enrollment. The question arising here is whether will people still be willing to donate their DNA for research when there is an option to sell it. In the end, it might be the “Uber” for genomics where the surge price goes up when there is high demand and low supply, i.e., the more interesting your genome is, the more monetary potential it might have. However, the main difference is that you might only be allowed one ride.